The Acura ILX delivers the style, technology and performance you expect from an Acura sedan. Experience Acura's compact sports sedan at our dealership in Tallahassee, FL today. Acura's top-selling three-row luxury SUV continues to set the standard for amenities, refinement and versatility. Test drive and tour a new MDX at Proctor Acura. 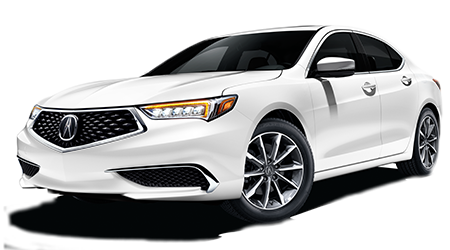 Experience premium features, intuitive technologies and driving excitement when you take the wheel of an Acura TLX performance luxury sedan at Proctor Acura. 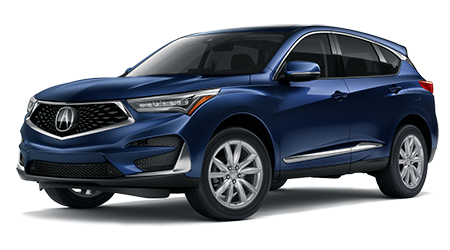 The recently redesigned RDX represents the next wave of Acura luxury and technology, wrapped in a roomy and versatile crossover SUV. Drive one today at Proctor Acura. Welcome to Proctor Acura, your source for new Acura and used cars near Destin and Panama City, Florida. 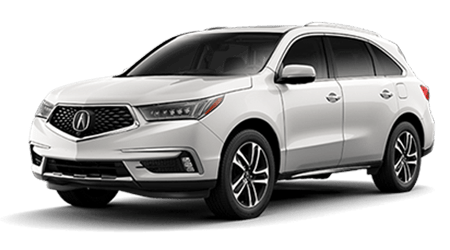 Our full-service Acura dealership in Tallahassee, FL is home to an excellent selection of the very latest models of luxurious Acura cars, crossovers and SUVs. When you shop at Proctor Acura, enjoy a no-pressure experience where our friendly sales staff will assist you with finding the ideal vehicle for you or your family. Before your visit, you can shop our online inventory to find that new Acura RDX you have been dreaming about, and even get pre-approved for auto financing. Remember that when you choose a new Acura at Proctor Acura, you get the Acura factory new car warranty plus the Proctor Lifetime Warranty, which adds unlimited warranty protection for your new Acura's engine, transmission and other powertrain components! Shop online now then visit us soon for a great price on a new Acura or used car. Have you already spotted a new Acura MDX or TLX that you want to test drive or introduce to your family? Beyond our new Acura and used car inventory, our dealership is home to a dedicated finance department that works with car buyers of all credit histories: that includes drivers with less than ideal credit, too! When the time comes for routine maintenance on your Acura ILX, like a tire rotation or oil change, stop by our service department that employs ASE and Acura Master Certified Technicians. For all of your automotive needs near Panama City, turn to Proctor Acura in Tallahassee! Proctor Acura is your go-to dealership for new Acura luxury vehicles around Panama City and Tallahassee, FL. We stock a strong selection of Acura cars and SUVs, ranging from the sleek Acura TLX and ILX sedans to the next-generation RDX crossover SUV and more. Make your way over from Destin, Florida or beyond to our dealership today, or shop on our website for a glimpse at our entire new Acura inventory in-stock now! Our dealership near Destin, FL has an extensive used vehicle inventory, filled with quality late-model automobiles. Tell us about your pre-owned Acura search, and we will find the car or SUV you need! 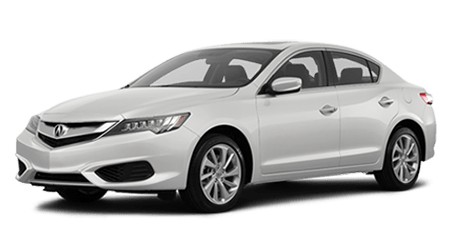 We stock certified pre-owned (CPO) examples of your favorite Acura luxury models, plus quality used cars, SUVs and pickups from other reputable automakers. Our sales team is here to help used car buyers find the exact vehicle they are looking for, so shop now. Our finance department is eager to assist all Tallahassee, FL area drivers as well as car buyers from Valdosta, GA and beyond with acquiring auto loans. Apply for financing today and tell us about the new or pre-owned Acura you want to call your own! We work with many car loan lenders to negotiate favorable terms for our customers! Even if you have a less than perfect credit score, fill out our secure auto loan application today! Whether you drive an Acura or another make of car near Destin, Florida, our dedicated service department is here to take care of all of your auto maintenance or repair needs. Our team includes ASE and Acura Master Certified Technicians so that we can work on any make and model of vehicle with a high level of skill and expertise. For your next oil change, brake service, new tire installation or Acura warranty work, visit the service center at Proctor Acura. Acura drivers can find all the genuine OEM auto parts they need for an at-home auto repair here at Proctor Acura! Our Acura parts department features competitive prices and knowledgeable Acura parts specialists, so contact our parts team with questions or to place a Acura parts order. If you prefer, you can order genuine Acura parts online; our parts staff will contact you when your order is ready to be picked up at our customer parts counter. Before you visit Proctor Acura in Tallahassee, Florida, you can take advantage of our many automotive resources available online. Shop our new and used car inventory, book a service appointment or even schedule a test drive of that new RDX that has caught your attention. We put all of the tools at your fingertips, so whether you plan to trade in your current car and finance or lease a new Acura, shop Proctor Acura online now!